This post is sponsored by Cetaphil, a brand I’ve trusted for years. When I look back at my teenager years, I remember a lot more angst about my skin than about boys. I had my first pimple in 6th grade, and actually got a little excited about it! It meant I was entering adolescence and dating boys would be on its way soon. But little did I know those pimples would plague me all through high school, and even after graduation. Yes, though for some reason I thought a cap and gown meant an escape from acne, I was wrong. Do people have acne in college? Yes. Yes they do. There is no magic date that marks the end of skincare angst, unfortunately. Part of my problem was that I never really kept up with skincare regimens, because they always seemed so complicated. I had tried expensive skincare lines from department stores, but still wasn’t happy with my combination dry/oily skin. When I lived with my parents, I tried Cetaphil® wash and lotion on my face, because I had ran out of my usual stuff and my mom happened to have Cetaphil around for her extremely sensitive skin. I really didn’t think it would work for me, since I didn’t consider my skin to be sensitive, but after a short period of adjustment, I noticed a much better complexion. For the past few years, I’ve been using Cetaphil pretty regularly, taking a break now and then to try something new, and then inevitably going back to my old standard. Even though I don’t have traditionally sensitive skin, I found that what I really needed was something gentle to cleanse and then something to deeply moisturize without clogging my pores. Along with exfoliating once a week, Cetaphil cleanser and lotion is really all I need for the best complexion I’ve ever had! 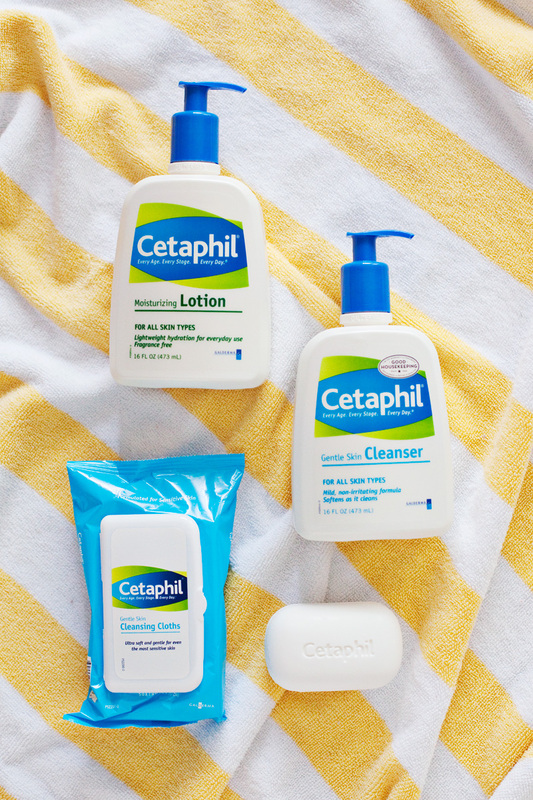 I was so excited to have a chance to work with Cetaphil as a sponsor, as you can imagine, since I’ve been a happy customer of theirs for years. They have new products (new to me, at least) that I’ve never tried before, and was excited to add them to our family skincare regimen. I personally am loving using the bar soap for showers, and the cleansing cloths for after a workout when I don’t have time to wash my face. Sometimes I’ll even use them to quickly cleanse myself after getting all sweaty before I nurse Juniper. Moisturizing Lotion: A little bit goes a long way. These bottles always last me so long! Gentle Skin Cleanser: When I first tried this years ago, it confused me because it doesn’t lather a lot. But then I realized you don’t need a lather for a good cleansing. Gentle Skin Cleansing Cloths: Great for removing makeup on lazy nights and especially for using before or after a workout! Bar: I prefer using bar soap for showers, rather than body wash. I use this instead of shaving lotion too! It’s also gentle enough to use on your face if you don’t have face soap handy in the shower. 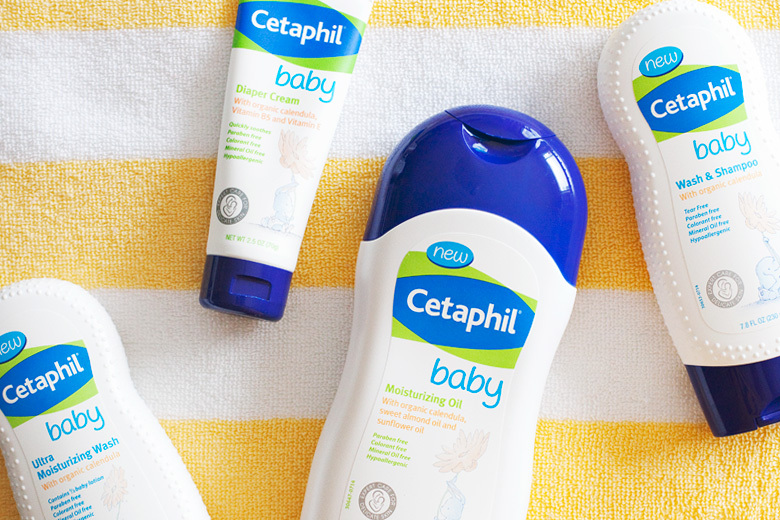 We also tried Cetaphil baby products for the first time and are really pleased with them. I’ve recently been educated about how bad mineral oils are (it’s basically petroleum), and how prevalent they are in baby products, so I was relieved that Cetaphil baby oil has simple, ingredients that I can pronounce— with mineral oil nowhere on the list. At first I was surprised at the yellowish color of the baby lotion, but that’s what happens when you use real ingredients without colorants! 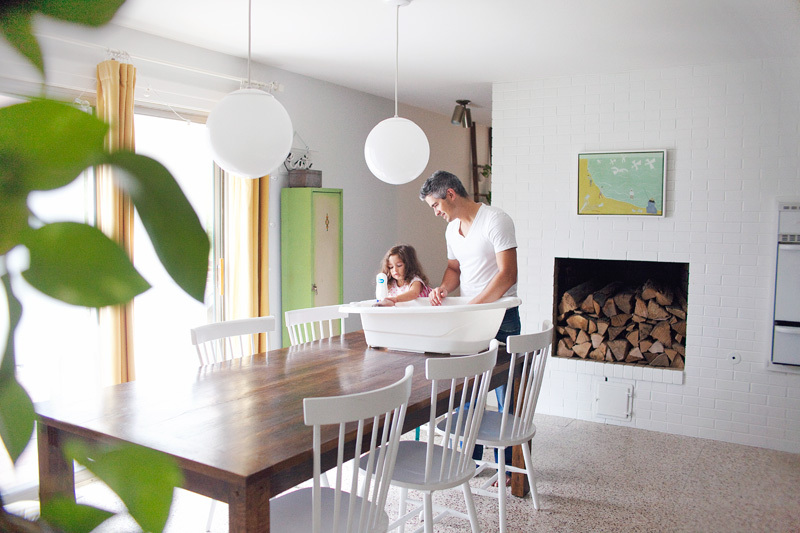 Baby Moisturizing Wash: It gave us some bubbles for a fun bath for Lucy! It also includes baby lotion in the formula. Baby Wash & Shampoo: Tear free and nice smelling. Baby Lotion: Super moisturizing, without any mineral oils. Baby Oil: I don’t use this much on the kiddos, but I do like to use it as an ingredient for my homemade eye makeup remover. Diaper Cream: We rarely need to use diaper cream, but this formula has organic calendula, vitamin B5, and vitamin E with no trace of mineral oil. I haven’t tried it yet, but have it on stand by. I can honestly say that I’ve trusted Cetaphil for years, and if you’re having trouble finding something that works for your skin type, give it a try! You might find it to be your new favorite skincare regimen too. This post is sponsored by Cetaphil®. All thoughts and opinions are my own.